I’m sorry to have kept silent for such a long time though, it’s not my work. 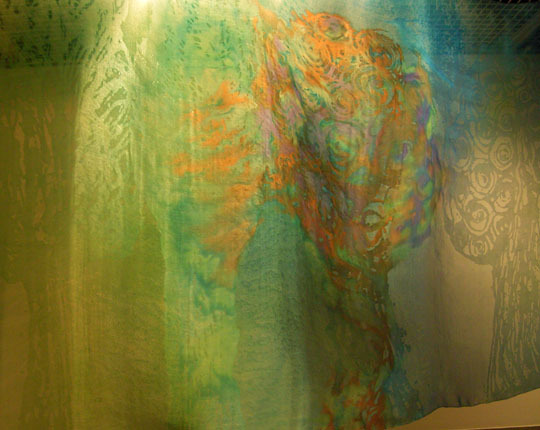 Ruri Kobayashi is an artist of the original dyes, perhaps you might have seen it. 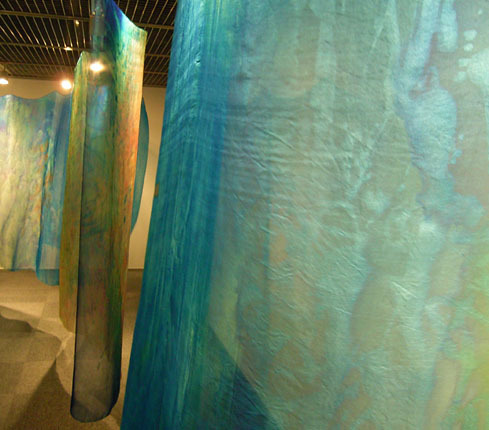 This time, her work is INSTALLATION of silk organdie opalize and dyeing. 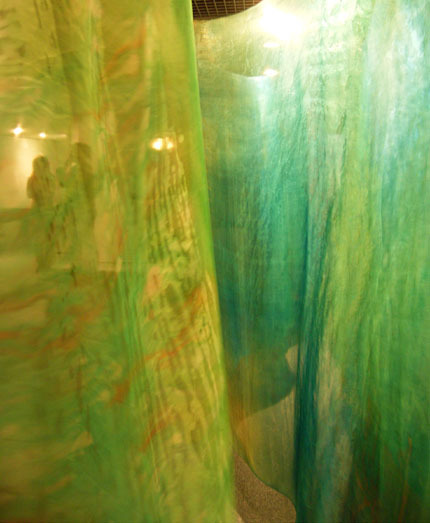 *Her article is the third of upper on the gallery's home page.